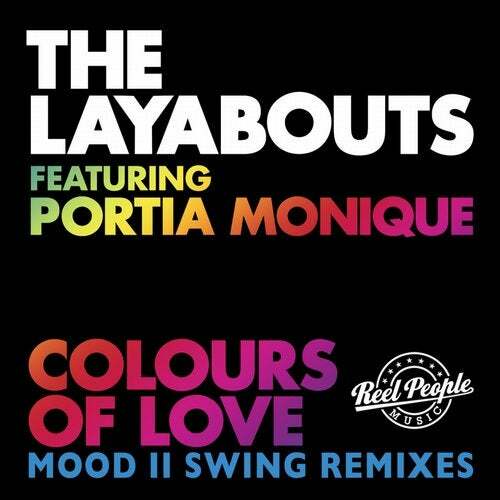 REEL PEOPLE MUSIC are extremely excited to announce our next release folks, as we welcome house legends MOOD II SWING and their delicious remixes of THE LAYABOUTS feat. PORTIA MONIQUE - COLOURS OF LOVE. LEM SPRINGSTEEN & JOHN CIAFONE aka MOOD II SWING really are Soulful House royalty. Having joined forces in the early 1990s, MOOD II SWING defined an era with an extensive portfolio of original cuts and timeless remixes. Its a real honour to have these guys work with us at RPM. After forging a formidable collaboration on the album FUTURE RETRO with songs such as DO BETTER, TELL ME NOW & BRING ME JOY, THE LAYABOUTS & PORTIA MONIQUE linked up again with COLOURS OF LOVE in 2013. We had never actually planned to get this Soulful classic remixed but when the chance arose to work with MOOD II SWING, it was one opportunity we could not miss out on.